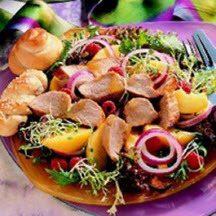 CooksRecipes has quality, kitchen-tested recipes for main dish salads made with pork, ham and/or bacon. 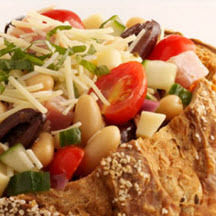 Serve this colorful and delicious salad in individual hollowed-out bread bowls or over red or green leaf lettuce. 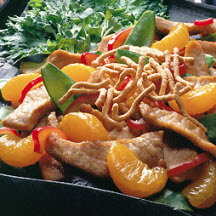 This colorful pork salad is loaded with great flavor.